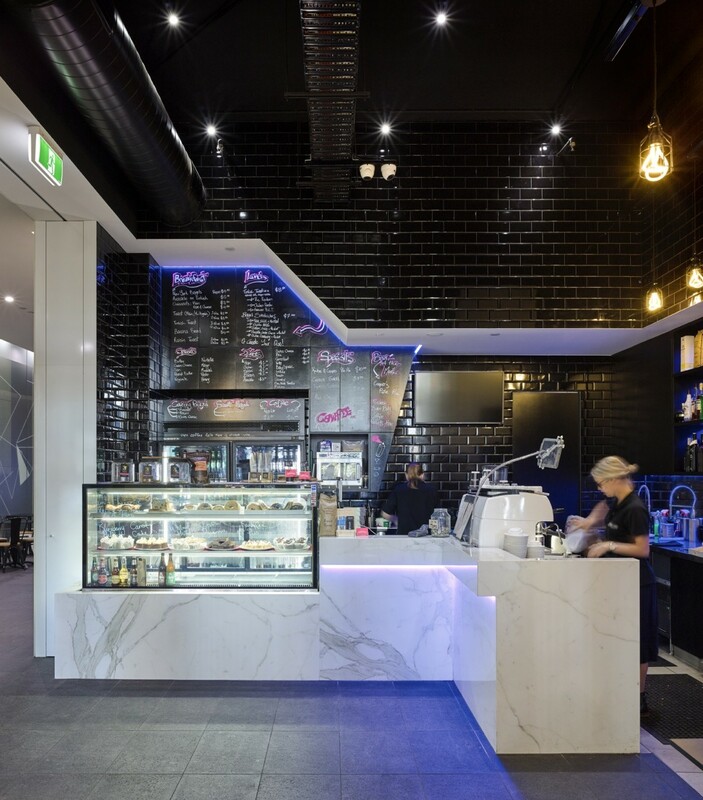 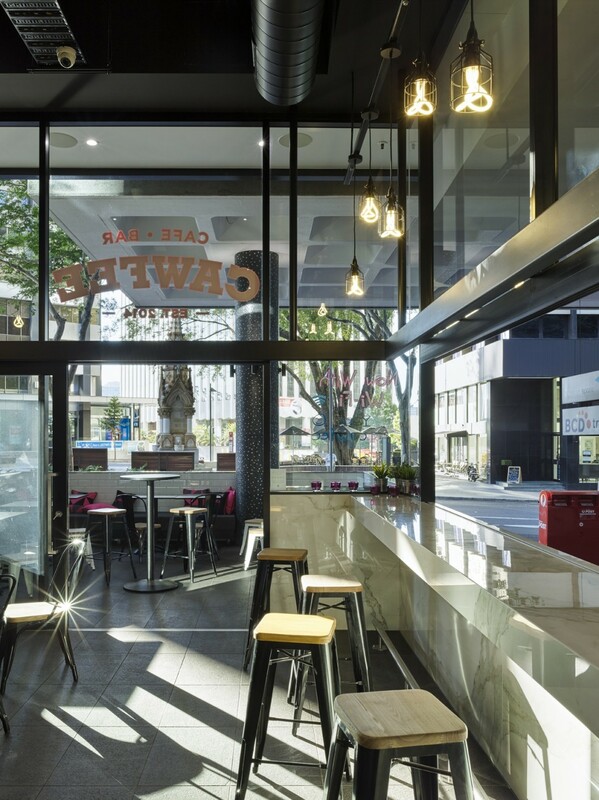 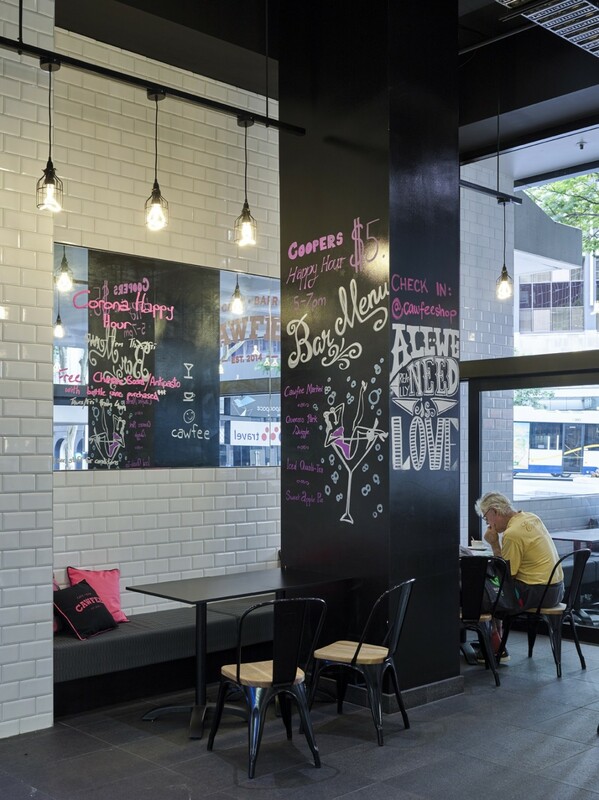 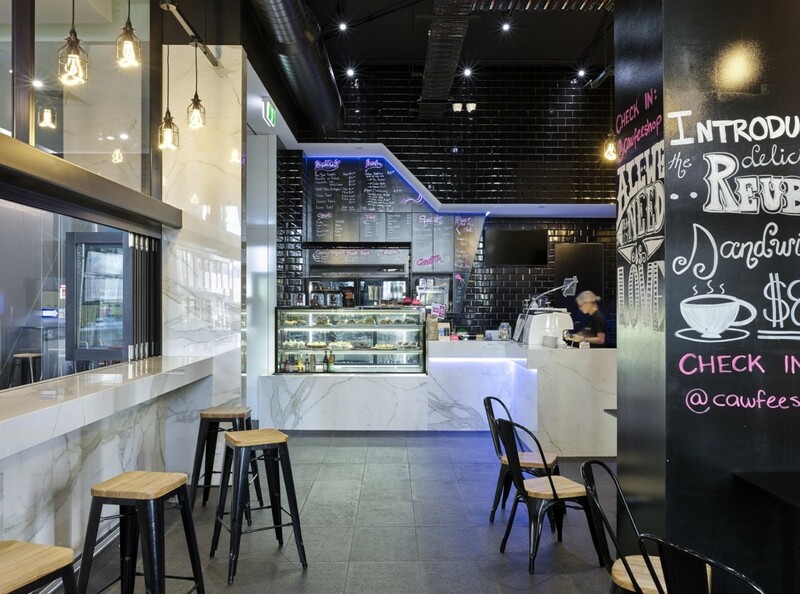 Cawfee’s charter was to coalesce our client’s love of classic New York cafes with Brisbane’s externally oriented lifestyle to create an intervention which takes advantage of neighbouring fig trees, Brisbane River breezes and an active street frontage. 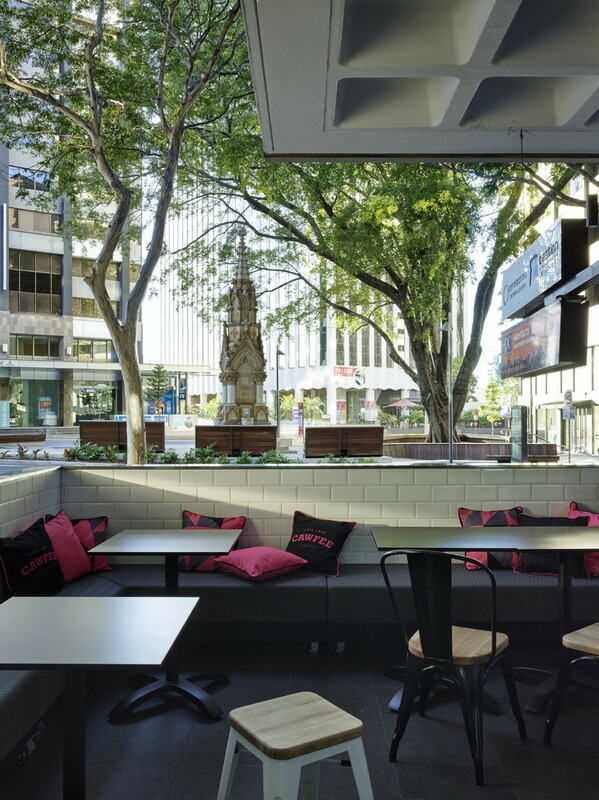 In doing so, this response crafts an informal position of cityscape connection and offers patrons respite without complete removal from the urban context. 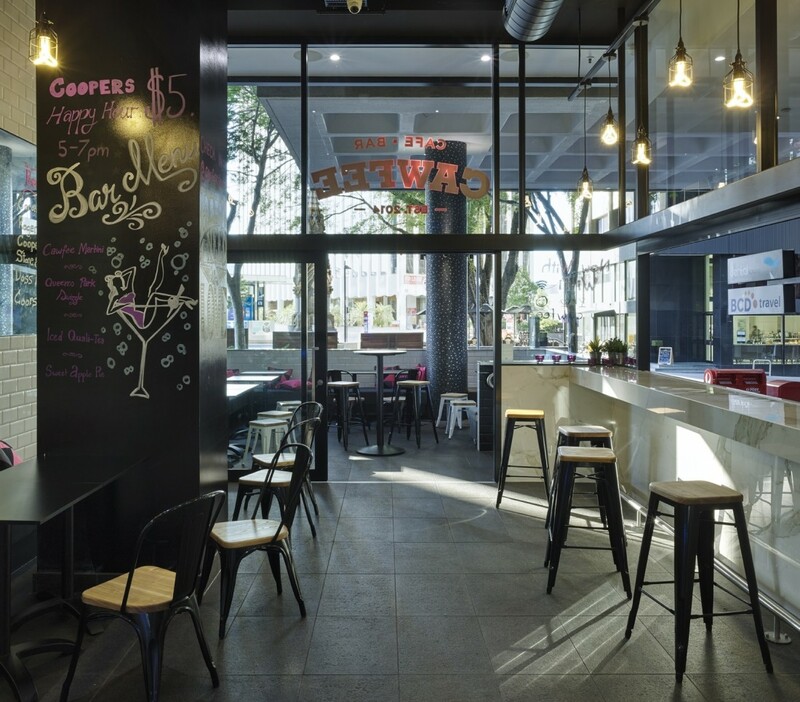 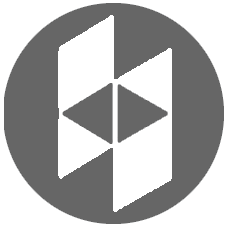 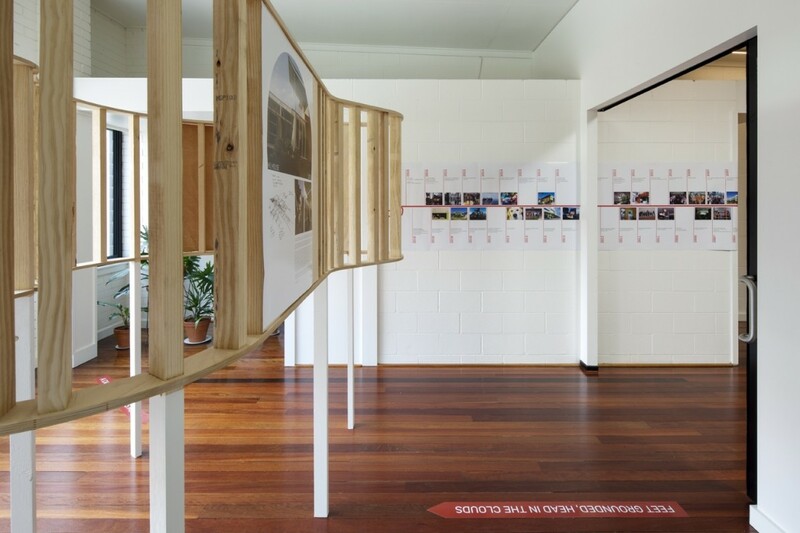 A flexible planning diagram allows Cawfee to operate in both extroverted arrangements or be shut down to create intimate atmospheres, while maintaining an underpinning quality of space. 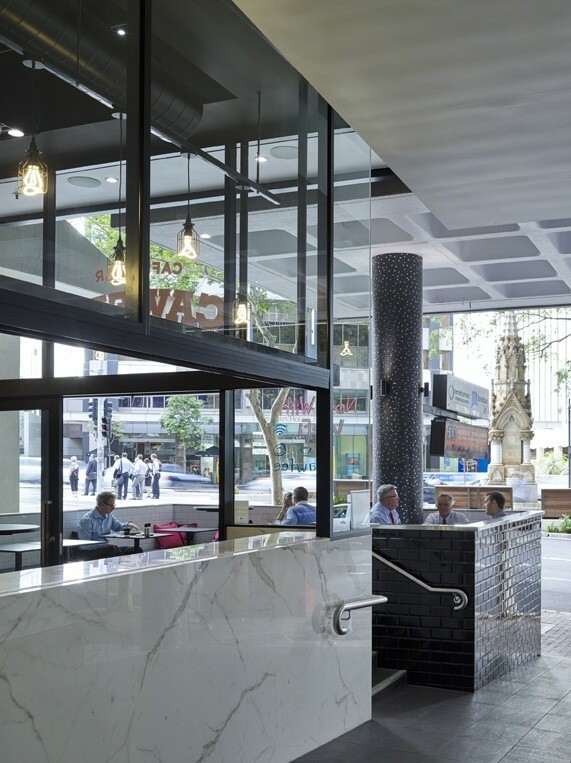 The dining space also seamlessly connects to the foyer of the main building and expands the activation from the street to the building entry. 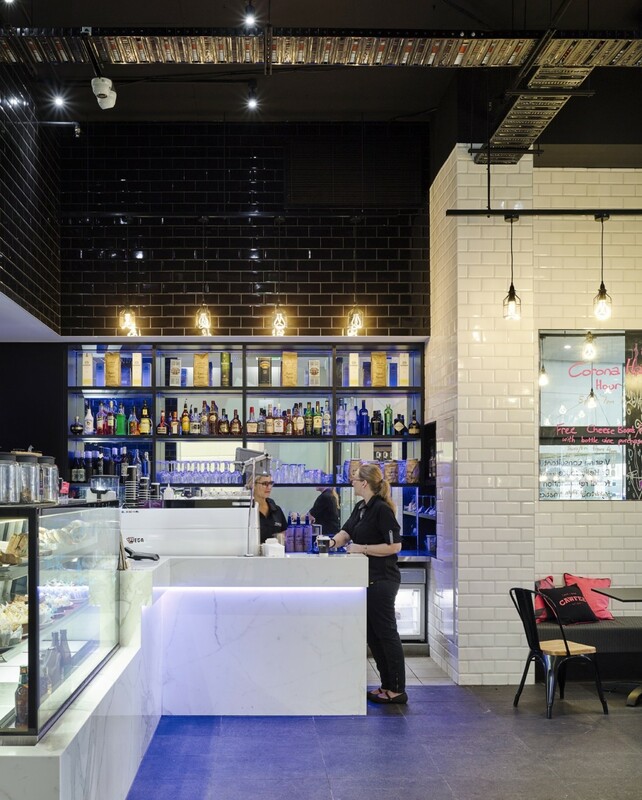 The design implements a restrained material palette of tile, marble and dusky finishes to temper the existing double height volume, concrete shell and exposed services. 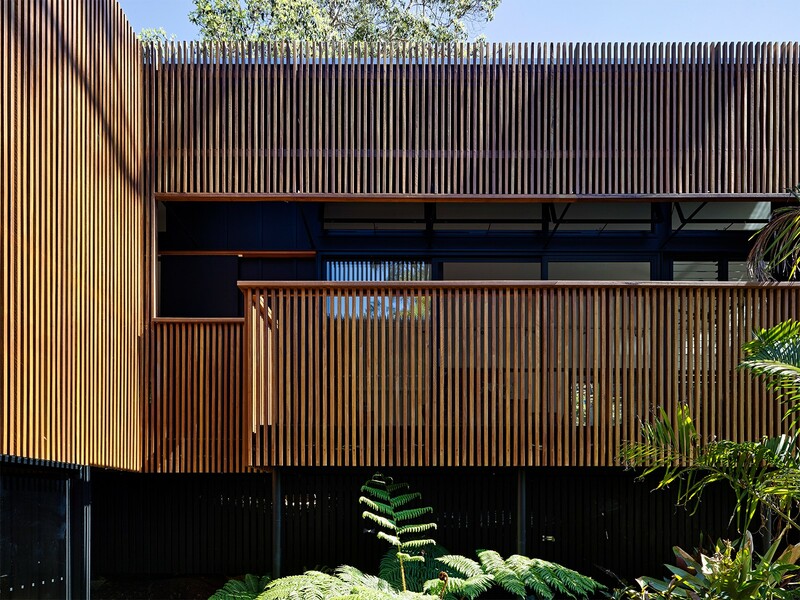 The existing spatial volume is manipulated to control the quality of light through full height glazing and pendant lighting, while the warmth of timber finishes and soft furnishings are stitched throughout the design as a counterpoint to the concrete shell. 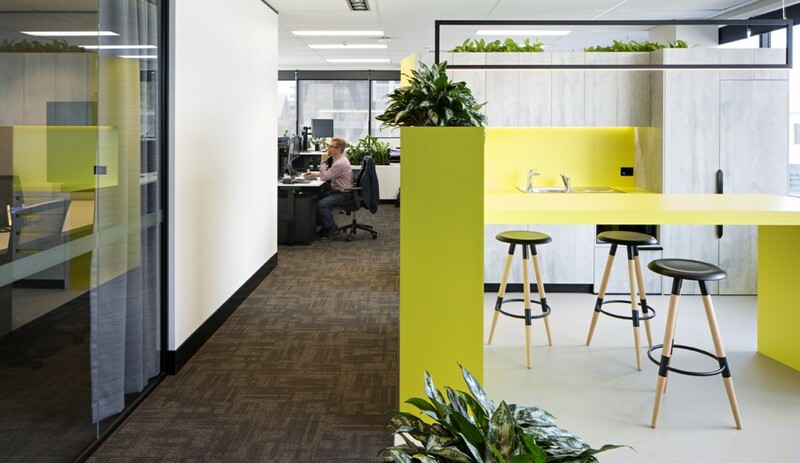 Custom joinery establishes movement within the tenancy while floor finishes are seamlessly integrated to the adjacent commercial foyer to strengthen a continuous sequence through the space. 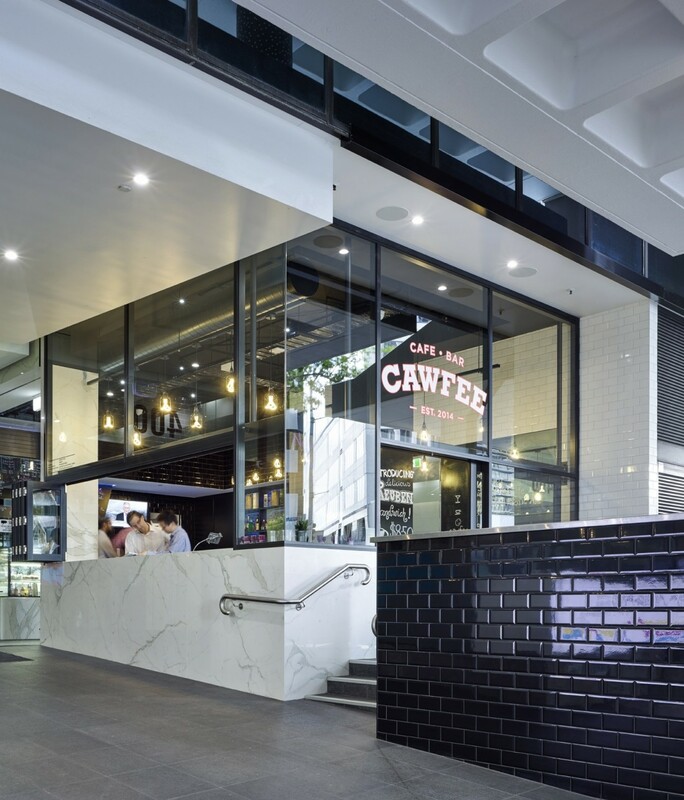 Cawfee articulates a considered response to the client’s brief and Brisbane context to fashion an engaging contemporary environment.